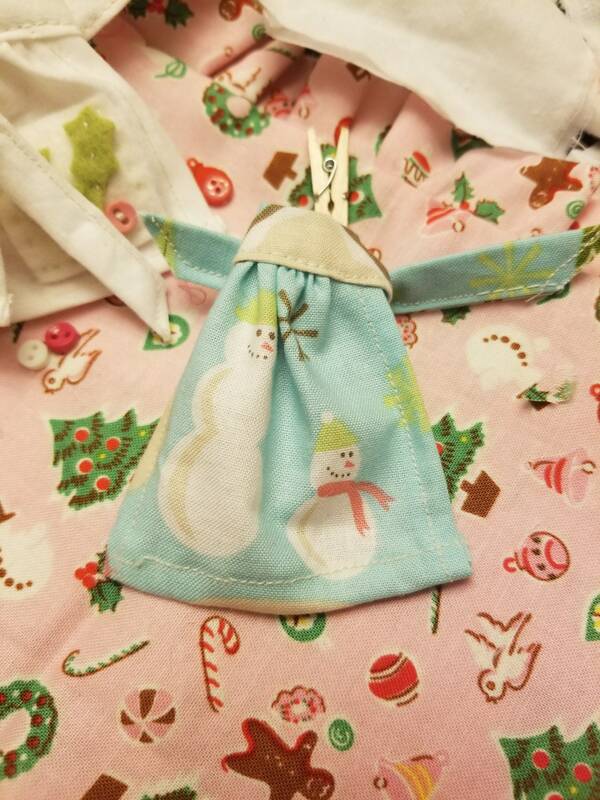 Miniature Dollhouse aprons are a must in a little kitchen. When baking the apron protects clothing from little spills! 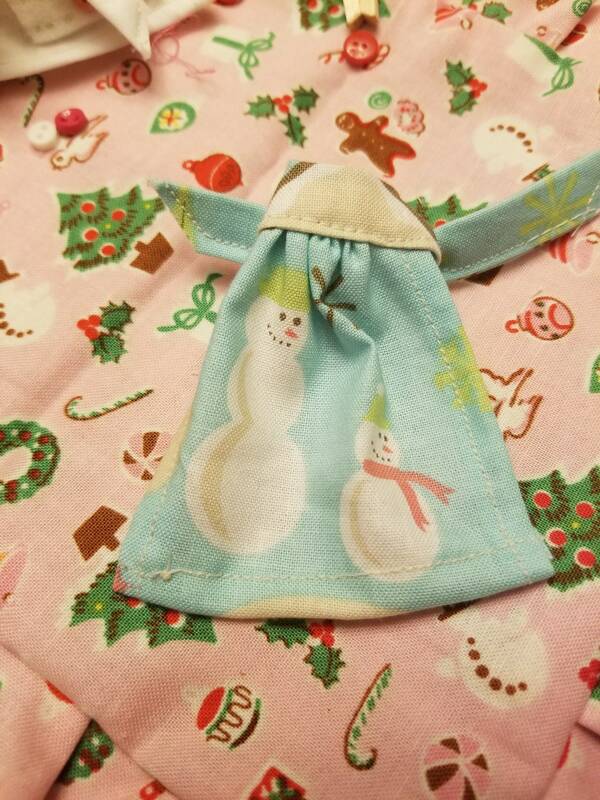 This pastel cotton apron has the sweetest snowmen on the pale aqua fabric. Very sweet and perfect for baking this holiday season. Apron itself measures 2 1/4 wide and 2 1/4" tall. Tied in the back. Spritz with water and hang over chair or hook to dry in place. 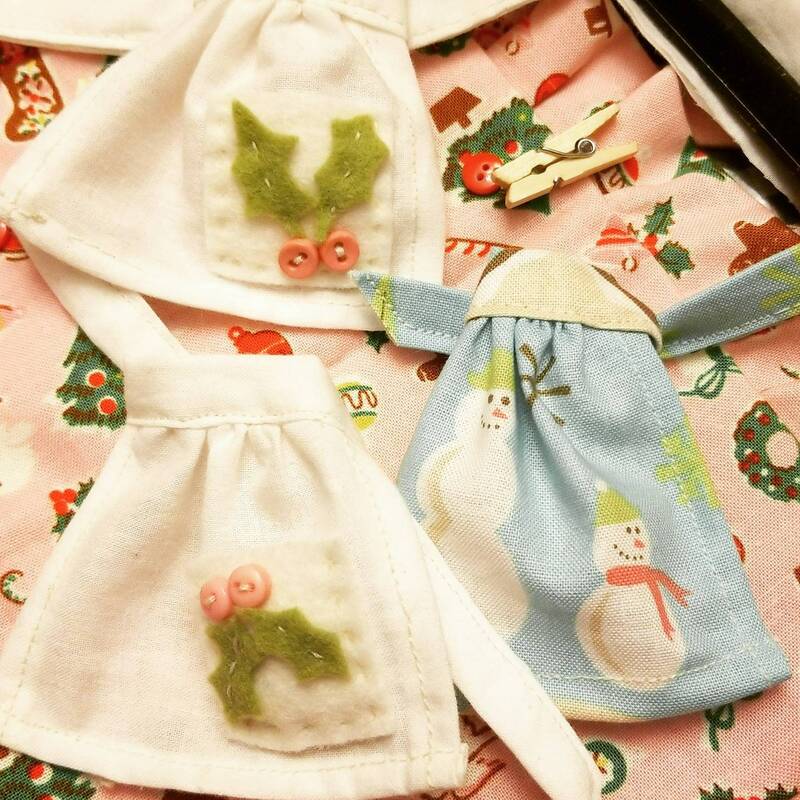 Each apron is made by me so there may be slight variations with each apron.